As important business tools for companies of all sizes, drones are growing in popularity among small businesses. But when a drone is used for business purposes rather than for recreation, it becomes subject to the small unmanned aircraft rule, also known as Part 107 of the Federal Aviation Administration’s Federal Aviation Regulations. Part 107 makes it easier for small businesses that operate drones to comply with airspace rules. The rule opens vast opportunities for small businesses to serve their customers and innovate in ways they haven’t before imagined. But with these benefits come responsibility and liabilities. Consider pointing your clients to a few of the policies that will best protect their businesses – and ensure they stay compliant. Requirement: Part 107 requires each person who operates the drone to hold a pilot certification. The licensed pilot is responsible if anything goes wrong and have the final say as to whether the flight is safe and legal. Recommendation: Encourage your clients to use the buddy system. While it is perfectly legal to fly a drone with only the pilot present, the University of Nebraska – Lincoln’s Drone Journalism Lab recommends that all operators be supported by an observer who can keep the pilot informed of any potential hazards. The observer can also help ensure that no pedestrians wander into the flight area. A pilot and observer working together increases the likelihood of maintaining safety, professionalism and efficiency in the drone flight. Requirement: Part 107 restricts operators from endangering people of property on the ground. Recommendation: Encourage your clients to invest in a validated airspace map to pinpoint where it’s safe to fly, versus where special permission is required. 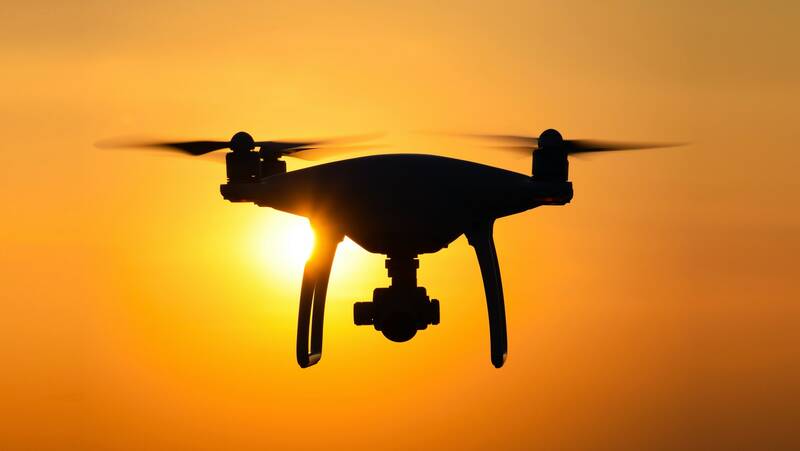 Because many people regard drones with suspicion, it’s also a good practice to alert and request permission from property owners ahead of time. Careful preflight planning and coordination help ensure the drone does not fly over anyone illegally. Note that Part 107 does not require operators to obtain permission from landowners before flying over their property, since landowners don’t own the airspace over their property. But following the law is one thing; professional courtesy is another. Asking for permission should help your clients avoid legal conflict or damage to their aircraft, while also contributing to normalizing drones in the public eye.